Need some instant musical notation to remember that little tune you just came up with? 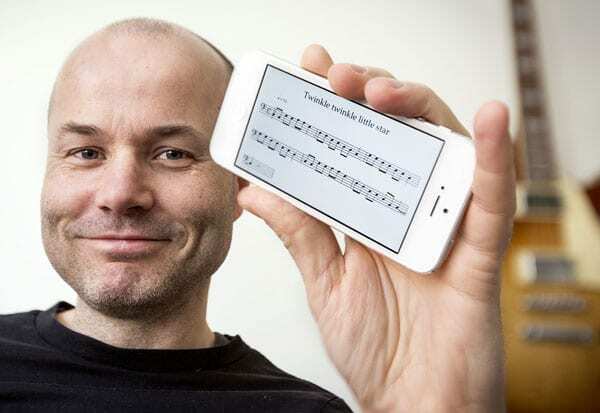 A new mobile app created by a researcher from KTH Royal Institute of Technology makes it possible to score any melody instantly and share it. The ScoreCleaner Notes application listens to your melody, instantly writes it out in musical notation, and then makes it possible to share the written music via social media websites or email, says Sven Emtell, who developed the app as part of his computer engineering master’s degree project at KTH with collaborator Sven Ahlbäck, who is now a professor at Stockholm Music University. Users need not know how to read or write music, Emtell says. Even playing an instrument is optional. The user can hum or sing the melody into their mobile’s microphone, and the app instantly displays the notation on the screen, with the right key, tempo and time signature. With the growing interest in online musical collaboration, such an app could do just that. One of the best-selling apps in Sweden for the last several months, ScoreCleaner Notes has been adopted by professional musicians and by elementary school music programs, among other customers, Emtell says. The app is available worldwide. “Musical notation is a universal language, so the market for this app is enormous,” he says. The way in which ScoreCleaner Notes listens to and understands musical structure is based on research performed at KTH into how people interpret music. The sound analysis function was developed with Anders Friberg, a docent in the Department of Speech, Music and Hearing at KTH. Hmmmmm. Seems to be ok here (anyone else having trouble please let us know). Suggest you try the email subscription if the problem persists. Please let us know either way and thanks for your interest.